"The content is logically arranged and presented in a format that seamlessly blends the teaching of anatomy with technique. This is a very useful approach which encourages the practitioner to think about how the anatomy will appear on the final image as they are positioning the patient...The quality of the images is excellent with the positioning shots in full colour throughout... 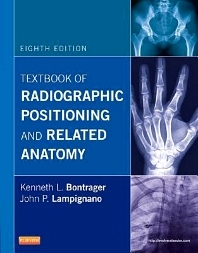 This book is a little more expensive than some of its competitors, but coming in at 826 pages and having the additional benefit of radiographic anatomy it is very good value for money. Its size and quality make it an ideal reference text for the departmental library."